This is the debut album from new U.S. progressive rock outfit Potter’s Daughter, and I have to says it’s a truly delightful album too. It’s also very different to the normal fare that passes for Prog nowadays, this album has melodies – memorable, hummable ones at that – along with a degree of jazz and it has a swing to it that makes The Blind Side different and helps it to stand out from the rest. Opening with a gentle piano motif and some softly strummed acoustic guitar this instantly takes you off into a dreamy soft and enticing piece of music with some fine electric guitar floating over the top, sounding not unlike Pat Metheny and Lyle Mays at their finest. Yes indeed, this is very classy stuff and this Memento sets things up in a very chilled yet pleasurable manner. Next up is It’s Summer Night which has vocals that sound very unusual as they are double tracked and somewhat sinister, but they still compel one to listen to them. I can’t think of any artist to whom this song sounds similar, but it has a soaring guitar line that takes the song somewhere else. Despite being a short piece it’s very good, bookended by the vocals and subtle piano motifs. Movement IV follows, rippling piano coursing through it alongside some gentle drumming in support. This again has more jazz stylings to it before another fine guitar break is introduced. As the guitarist shreds away the strength of the piece is clearly shown, another winner. To My Love features more sweet vocals and a gentle lilt, almost folksy in style but very accomplished with some more fine guitar work throughout from Amit Chatterjee. It’s an arrangement of the 4th movement of the 1st piano sonata by Alberta Ginastera (whose Toccata was covered by ELP). Again its lovely melodies are well suited to the band and it is a well crafted arrangement indeed. I think it is fair to say that this album certainly impresses with its delicate understated playing and its fine epic and fiery guitar work from the Amit Chatterjee (surely a name to watch for in coming years), it’s a sheer joy to listen to his fine fluid playing throughout. The album continues with another excellent track Silver Moon, the longest here, which opens with another soaring lead guitar line and some sweet piano playing in harmony and in tandem with the guitar, giving more echoes of Pat Metheny and Lyle Mays. Delicate percussion and the ever subtle bass work holds it all together. Having a liking for jazz certainly helps define this albums stature as it is a truly wonderful album to behold, in an age when most prog discussions merely hark back to the 1970s it’s great to hear something a little different that takes the genre forward in another route, a road less travelled even. This piece has more supporting piano and sympathetic percussion and sensitive, unobtrusive bass playing too. It’s wonderful to hear such creativity and understatement in this elegant music, which deserves a huge audience. I’m finding lots of new progressively influenced music outside of the mainstream nowadays, in fact there is so much new stuff coming out that it is impossible to keep up with it all. Bandcamp is an excellent forum in which to seek and discover new music such as this, and also with the likes of Bad Elephant Music now using Bandcamp to offer their wares I certainly recommend that prog fans look at these places as it’s where new stuff is emerging, waiting to be found. Sure On This Shining Night has a festive tone to it, although it’s not a Christmas song as such, but it has that vibe to it somehow. It also has more superb guitar work woven throughout. The rest of the album follows a similar tone to what I’ve already mentioned and one thing is for sure, Potter’s Daughter have crafted an album of real grace and beauty here, an album that all prog fans should give a listen to as it’s an album that benefits from frequent playing. 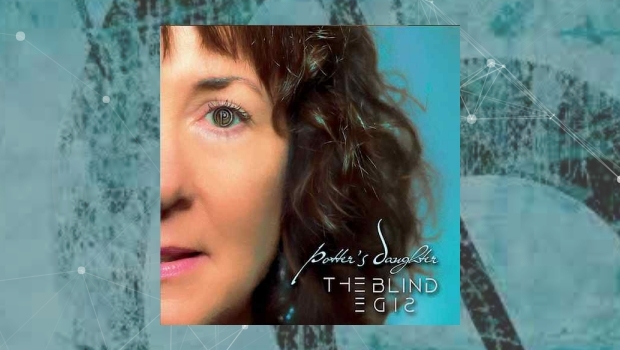 A fine contender for an album of the year list, The Blind Side is an album that I heartily endorse, and I think that most folks will enjoy, especially if you like light jazz type music too. Immaculately produced and sounding beautiful, exemplary in fact. Very highly recommended.